Learning how to play the piano is an amazing journey. There will be times when your child will be excited to practice their piano pieces, and eager to show you what they have learned. Then, there will be times when it will be up to you to help them stay on course. And then your child will be motivated and excited to learn more once again. This is true for almost all piano students. I remember going through some ups and downs myself when I was a child. It is natural for a child to sometimes not feel like practicing, or they may even say that they want to stop taking piano lessons. If that happens there are some things that can help. You As a Parent Know What Is Best for Your Child. Encourage them to continue, give them incentives. You can see the big picture, while your child can not. You would not let them quit going to school if, for a time they do not want to go, and later on your child will be grateful to you for that. I have talked to many adults and none of them are happy that they stopped taking piano lessons as children. There are different reasons why I student may feel discouraged, and many of them are easily fixed. Sometimes students are just too hard on themselves and get frustrated if they can not play a piece perfectly right away. They just need some reassurance and patience. Encourage your child to take l little break if you see them getting frustrated with a certain musical piece, and to try it again later. 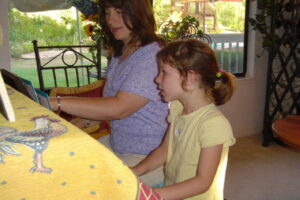 Let the piano teacher know about it at your next piano lesson if the piece seems to be too challenging. Whenever a student is having a difficulty with a piece the problem usually is with reading, understanding, or technique. Usually, especially after vacation children forget some notes. In such case, we simply review the notes, explain the rule, I play the piece for them, and they are back on track. If some students do not feel like practicing I point out that learning how to be good at anything takes practice. This is true for reading, writing, all sports, and skills. Yes, it requires commitment, but it is really worth it! 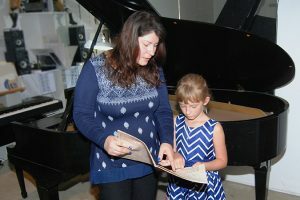 If your child is discouraged, talk to your piano teacher about the issue, and to your child - sometimes a little extra encouragement or a change in the repertoire can work out miracles. The piano teacher has a variety of methods, and experience to draw on, and will choose the best solution depending on your child's needs and personality. 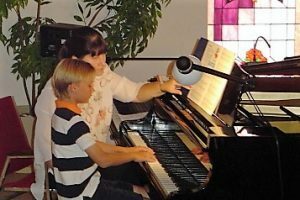 Lastly, if you find out that your child's desire to stop taking piano lessons is not just a temporary period of discouragement, but that he or she has truly lost interest, it would be better to find an alternative activity that they will enjoy.